Somewhere in D7, past the craft beer joints and coffee places, beyond the quaint little bookshops, free from the sight or smell of pulled pork, lies Squat City. From 2013 to 2015, it was home to dozens of squatters, many of whom were very public about their use of the premises. They were eventually evicted, though, and, in June 2015, the keys were handed over to the guards. Squat city was closed. Security guards patrolled the premises. Until it was eventually sold. 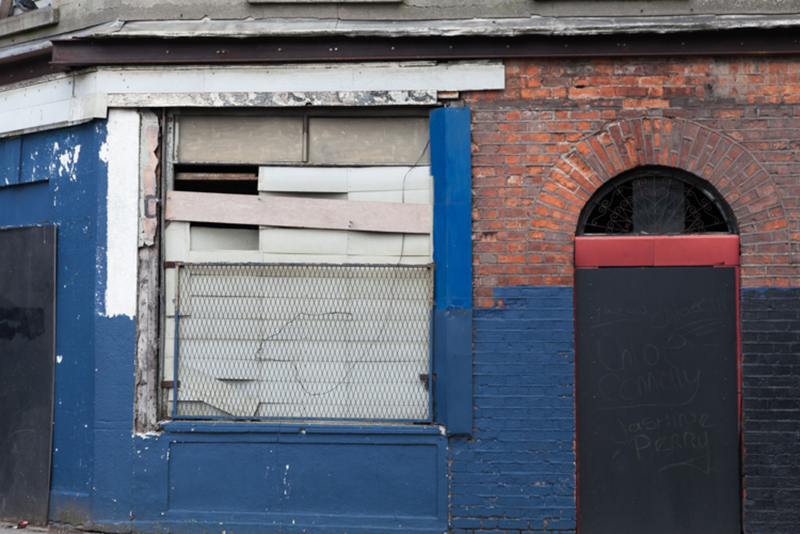 It lay vacant for eight months, barren and, for some, a symbol of the lack of affordable housing in Dublin. But the new owner did not keep the guards in place, and squatters soon reoccupied it. So after months and months of lying vacant, people are now calling the complex home once more. It’s an enormous concrete courtyard with several warehouses, shacks that people live in and the remnants of a garden. It is nestled cosily in an otherwise gentrifying part of the capital, in Grangegorman, and it houses about 30 people, free of charge. Here’s Luke Lavaine, a Grangegorman resident. He’s been squatting in Dublin for about two years, and I’m greeted with a grin as I meet him in a squatted house in the north of the city. The house is a little dusty, but it’s clearly people’s home, and the dimly lit kitchen is full of vegetables, pots and pans. To my left is a window; I can see a narrow garden engulfed in green bushes and growth. There’s a dreadlock or two in the long hair that frames Lavaine’s bearded face. He recently injured his eye in some kind of accident, and says that that’s why he’s not making eye contact, so please don’t think he’s being rude. I tell him not to worry, and I blow on my hot tea as I thank him for it. Tomorrow we’ll rendezvous again for a quick tour of Squat City, but for now we sit in the kitchen and chat about squatting in Dublin. Residents of the house are periodically coming in and out, and I say hello. I ask Lavaine for a profile of the kind of people who make up Dublin’s squatting community, a description of the standard squatter. He pours me some more peppermint tea. He explains that while anarchists, socialists and activists account for a portion of people who squat in Dublin, a number of others do it purely out of necessity, and are not informed by any particular political philosophy. As we’re talking, a resident walks in and begins looking at the small potted plants on the window ledge next to me. Lavaine tells her that we can move to the house’s living room if we’re in her way. We’re fine, she says. Grangegorman in November 2014. Photo by Hazel Hogan. There are people from a variety of sexual orientations, genders, political beliefs, and backgrounds who squat. But they all agree one thing: that the state has failed to house its citizens. As do the experts. McVerry has called for the government to declare a national emergency to address the situation. Focus Ireland, and the Dublin Simon Community have also said the government is not doing enough to address housing and homelessness issues. Squatting, for many, must be viewed in this context: of a state which has failed to provide affordable housing. Initiatives by some independent groups to provide housing have been opposed by the government. 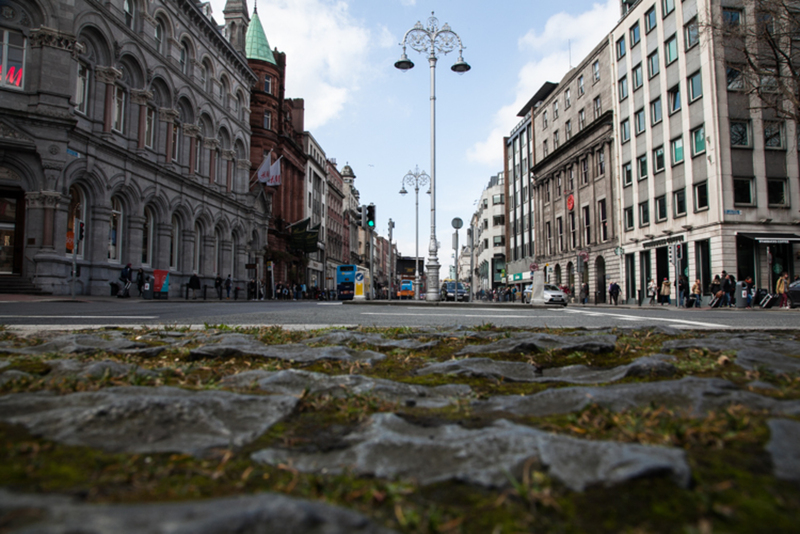 When activists in Dublin occupied an empty Dublin City Council-owned hostel on Bolton Street last summer and attempted to open it to house homeless people, the council said it had safety concerns, took them to court and forced them to stop. It used to be better furnished. 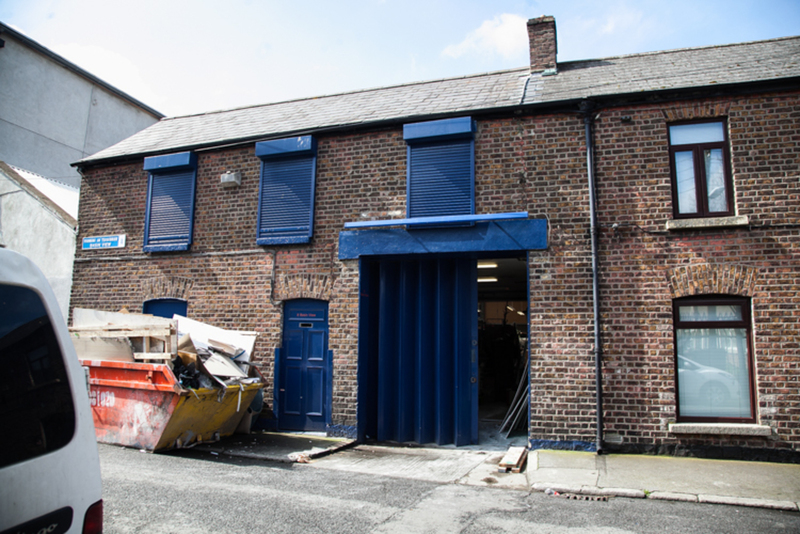 Squat City was previously equipped with a community kitchen, a “free shop”, to which people could donate unwanted items for others to take without charge, as well as a community garden, where residents grew their own fruit and vegetables. The garden was bulldozed and demolished after the eviction in June, and a large mound of clay now rests in the middle of the courtyard. Based on the accounts I hear about from residents, I’m surprised the earth wasn’t salted so that nothing would ever grow here again. During the numerous eviction attempts during the previous occupation, residents claimed they were assaulted. But new signs of new life are emerging. Kale and nettles are now growing, and there are pots filled with flowers scattered throughout the squat. As we walk around, it’s quiet. Other than somebody building a shack, there doesn’t seem to be much going on. The warehouse ceilings are high, maybe forty or fifty feet up there, and there are piles of clothes scattered around. It looks as if someone has been sorting through them. 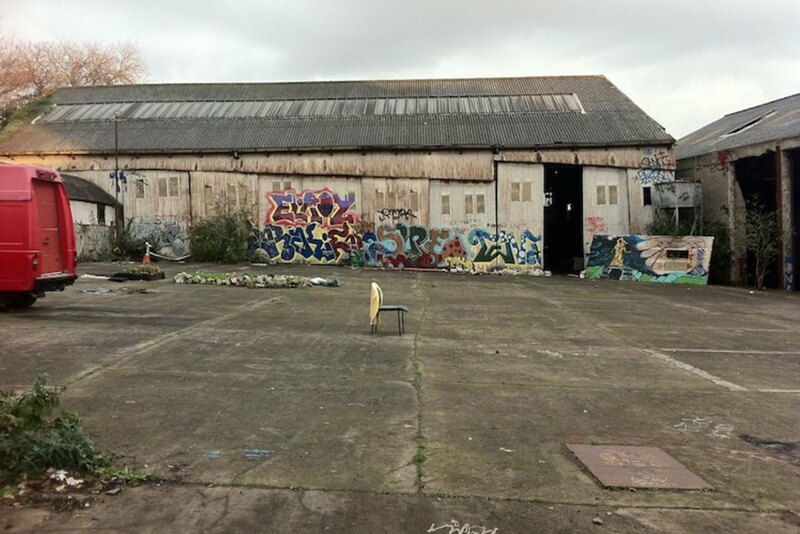 A space as large as Grangegorman, as this place is often known, has a lot of potential, and the residents have plans for it to be used by the public at no cost. 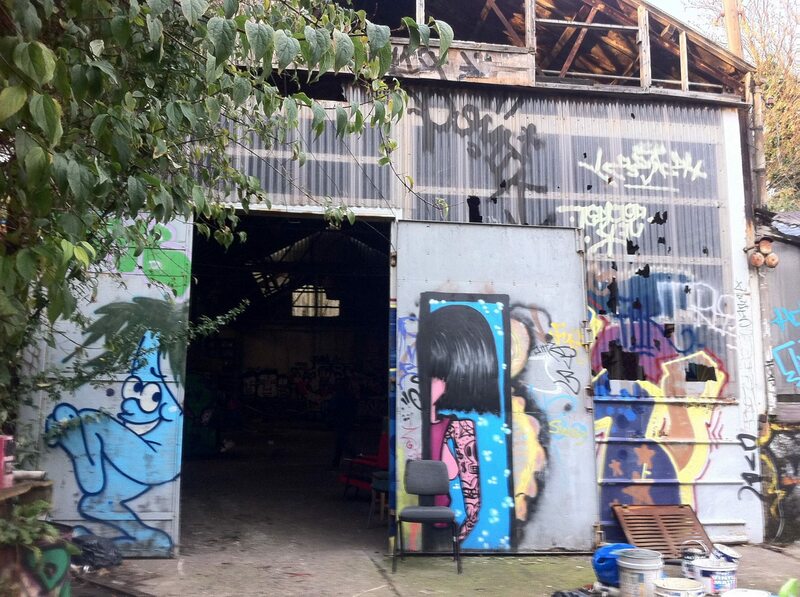 Last month, they held an open day, for people to come visit the squat. A semi-regular spoken word and poetry event, “Words in the Warehouse”, takes place in Squat City. There are also workshops and a space for art exhibitions. “Because squatters have less financial pressure, there are a lot people – musicians, artists, poets, and so on – who are able to pursue what they want to do,” Lavaine says. A number of weeks ago, Grangegorman hosted a circus, which performed free of charge for an audience of at least 100. 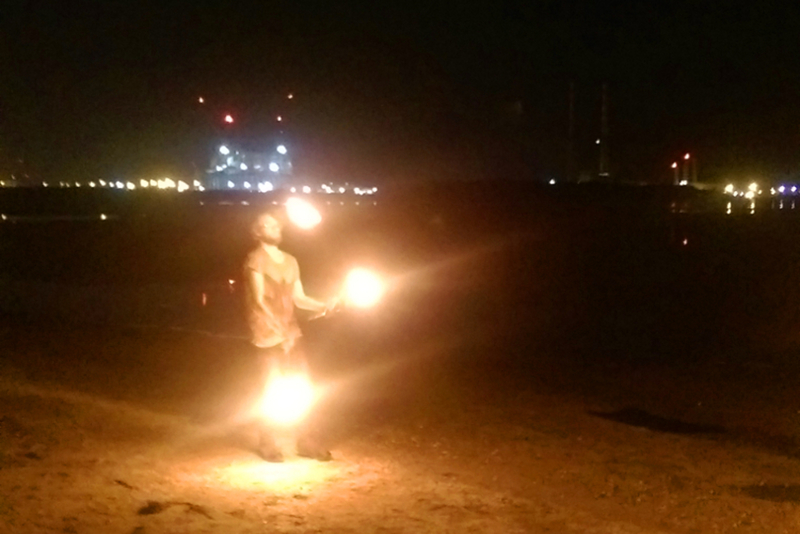 Acrobats performed in the candlelit warehouse. Artists and musicians from the squat also took part. I ask Lavaine about plans for the future, and how he sees the space being used. Here’s Michael Gaffney, “unrepentant working-class anarchist”. Gaffney is relatively new to the squatting movement. Although he currently isn’t squatting, he’s a friend and ally of Grangegorman. I meet him for a pint in Sweeney’s, and we oscillate between sitting in a quiet corner to chat and taking breaks to go outside and smoke rollies. I ask him about his background, and how he became involved with squatting and squatters. He says he got involved in Squat City relatively late. “I was at my first PETTYCASH show, and Hazel Hogan was giving a speech about the big eviction attempt, and how they needed support – of any kind: hands on, artistic, moral and otherwise,” he says. The community at Grangegorman helped Gaffney through a tremendously difficult period in his life. Squat City provided a place for him to go, to fill his days doing something productive. “My engagement was just broken up and I was using a lot of very heavy drugs, almost daily, and was just after a suicide attempt. So, I eventually ended up going down to Grangegorman every day, during a great dash of sunshine. I gradually met more people,” he says. Gaffney is a poet, and a very good one. He performs at spoken-word events around Dublin, as well at as events put on at Grangegorman. The community welcomed him, and his life has since improved. “I met another squatter in a squat not so far from Grangegorman, and had hung out with him a lot as we both crashed in one of the warehouses a bit. Then on the day of a mass squatting of a HSE building two minutes from Grangegorman, I went to help.” he says. Though the squatters say the local community around Squat City have been welcoming, popular opinion, generally speaking, is not sympathetic. Several attempts have been made to remove the residents of Squat City, they say. One morning in February, around the time the Father Peter McVerry said that the homeless crisis was a result of government policy, an attempt was made to once again remove the residents of Squat City. The residents say private security guards tried to forcefully evict them, eventually leaving when they discovered they were outnumbered. He rolls up another smoke, and begins to tell me about the ethos of Grangegorman’s squatters. “If you have a burning to fight back against the monster which is mainstream middle-Ireland today, you will have a place at our table,” Gaffney says. As with all squatted buildings, the future is, as far I can see, uncertain. While no one living in Squat City can predict what will become of the space in the next five years, the atmosphere seems to be generally quite optimistic. Though not always explicitly political, squatting in Ireland is in some ways always a political act. In occupying an empty premises for the purpose of living, one is making (intentionally or not) a statement against an absolutist conception of private-property rights. Against the notion that vacant land cannot be used by people who need it because someone, somewhere claims ownership of it. Grangegorman lay empty and forgotten before the squatters came. In a time of a shortage of affordable housing, Squat City is now a home to tens of people, and will soon be home to more. And there are more places like it all over Dublin. Back in the kitchen of the north Dublin squat, I’m finishing my tea. Lavaine is talking about the divides in the last group that occupied Squat City. “Grangegorman Round One was made of several groups of different people, two groups of people who got along, but weren’t politically on the same page . . . there were differences,” he says. Paulie Doyle: Paulie Doyle is a freelance journalist and writer. This site was/is in Nama. No ‘For Sale’ was put up, yet within a short period of time after the first evictions, notices went around to local residents from a private development company informing them of plans to build 500+ student bed complex on the site. I attended that meeting last July. Plans were pretty advanced though planning permission hadn’t been applied for. There’s been no further contact since.